The latest New South Wales (NSW) Bureau of Crime Statistics and Research review of the impact of the February 2014 package of liquor law reforms has reignited the alcohol industry, Lord Mayor Clover Moore, the Greens, Senator David Leyonhjelm and Keep Sydney Open (KSO) in their opposition to these life-saving measures. Their “better” alternative – articulated by Mr Fergus Taylor, Executive Director of Alcohol Beverages Australia (Telegraph, 7/3/17) – is the combination of education programs, improved transport, more police and tougher laws against drunken violent offenders; all wrapped up in a general appeal for greater individual freedoms and rights. This proposal relies on a study by United Kingdom anthropologist Dr Anne Fox to support its conclusion. A study paid for by beverage giant Lion. We should not allow the vested interests of the alcohol industry and its bedfellows to shape and determine NSW’s public safety and health reform agenda. The opinion of the alcohol industry is flawed in a number of respects. Firstly, they ignore the obvious pharmacological impact of the consumption of high levels of alcohol that dominates sale and consumption patterns in the night-time economy. This includes substantial preloading on cheap, readily available booze from discount bottle shops. Drinking alcohol progressively impairs reasoning and judgement skills in the frontal lobe of the brain. Pissed people make poor decisions, thereby cancelling out the very small positive impact of costly “feel-good” public education and social change programs advocated by the industry and their supporters. The great irony of course is that the alcohol industry is the most vociferous caller for their patrons to exercise greater “individual responsibility”, while at the same time having absolutely no regard or responsibility for the general public. To the contrary, the alcohol industry profit the most from irresponsible alcohol promotions especially to children (alcohol “grooming”) via sporting events and failed Responsible Service of Alcohol (RSA) legal obligations. 93 per cent of young pub and club drinkers surveyed by BOCSAR reported they continued to be served alcohol when showing signs of intoxication. Secondly, the alcohol lobby relies on crude and inaccurate risk and harm analyses to suggest that the current risk of becoming a victim of alcohol-related non-domestic violence does not justify proven population-wide controls such as earlier last drink measures. Tell that to the grieving families and friends of those killed and permanently impaired from a drunken assault. Tell that to our brave and dedicated emergency workers who are too often used as punching bags and spittoons by highly intoxicated pub and club patrons. It is estimated that only around 25 per cent of assaults are reported to police. Of course, the harm to self and others from the dangerous oversupply, promotion, and consumption of alcohol is much more extensive than late night weekend assaults in entertainment precincts. 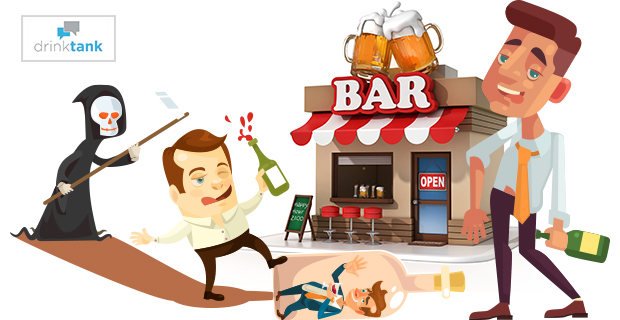 Around half the total acute alcohol-related harm associated with the night economy comes from unintended consequences by pissed persons falling over (known in ED departments as PAFO), alcohol poisoning, walking in front of cars and buses, motor vehicle collisions, near drownings, and attempted suicides. The industry also deliberately fails to count and pay for the chronic harms and public costs associated with high and persistent levels of alcohol consumption including increased cancer risks, a previously unseen explosion in young people with serious liver damage, and the greater risk of Fetal Alcohol Spectrum Disorders (FASD). And we’re not just talking about a “small minority” of “irresponsible” late night patrons. The majority of patrons of the late night economy are served volumes of alcohol inconsistent with RSA laws putting themselves and others at considerable risk of both short and long-term harm, not just violence. An alcohol blood level of 0.05 doubles the chances of a car crash, while 0.08 nearly quadruples such risk. Compounding this quantifiable risk is the impact of fatigue associated with drinking late into the night. It is these inconvenient facts that the alcohol industry and its associates hide from and attempt to obfuscate by reliance upon pseudo-science and urban mythology. The same facts explain why Newcastle’s 2008 modest reduction in closing times and related measures including the earlier lockout, are so successful. In Newcastle, we have witnessed a 110 per cent increase in smaller bars and licensed restaurants, and a sustained drop in assaults over the last eight years. The Sydney liquor lords’ inability to capitalise and profit from safer streets in a similar fashion to Newcastle is not a failure of the lockout laws, but rather a lack of entrepreneurship, imagination uncoupled from 24/7 boozing, and a government not immediately adopting consistent law reforms across the state. Part of living in a civil society is accepting some modest curtailment of individual rights (speed limits through school zones, child vaccinations) for the greater collective good. We must be extremely wary of the alcohol industry and their supporting charmers who proffer their own snake oil “solutions” predicated on self-interest, cost shifting, and misinformation for such a deadly problem. Great article, thanks, Tony. We must all be aware when and how the liquor industry’s PR machine undermines confidence in public policy designed to protect. Don’t listen to naysayers who chant “Nanny state”. 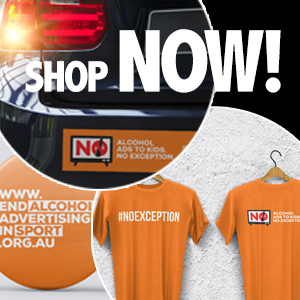 Tight liquor regulation – as with laws around car seatbelts and tobacco advertising – is about saving lives.